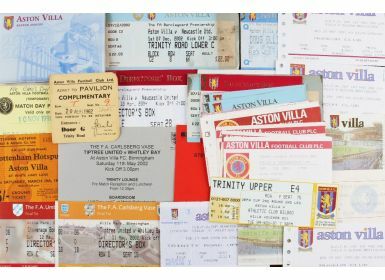 Collection of Aston Villa match tickets to include 1962/1963 Spurs, 1986/1987 Manchester Utd, 1988/1989 QPR, 1989/1990 Manchester Utd, 1993/1994 Norwich City, 1994/1995 Everton, 1998/1999 Leeds United, 1999/2000 Leeds United, 2002/2003 Leeds United, 2002/2003 Newcastle United, 2003/2004 Leeds United, Newcastle United. 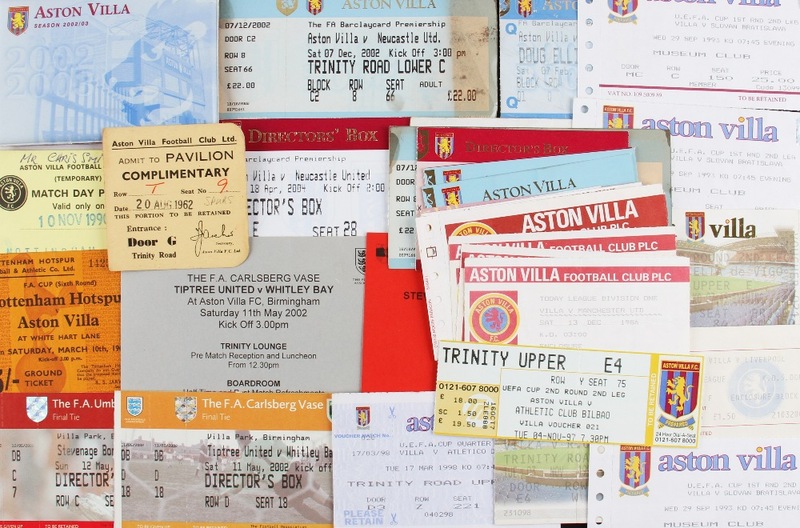 Also v QPR League Cup semi-final, 1961/1962 away at Spurs (FAC), FA Vase trophy finals at Villa Park and a 2002/2003 season card. (A Lot) Fair-Good.